We are excited to announce that the Iowa Department of Education has included Conditions for Learning as part of the plan under the new federal education law, Every Student Succeeds Act. All Iowa public school districts will use the Conditions for Learning Survey (Survey) to improve safety, student engagement and the overall learning environment so that all Iowa students have optimum conditions for learning. Andrew Community School has joined the state in this important work! For the first time, we will measure conditions for learning by asking the real experts each year - students. This is their chance to make their voice heard, and we intend to listen. Together we will seek creative solutions that will support a world-class education that provides students with 21st century skills to succeed in the world. Studies have shown this work matters. Improving skills such as solving problems, working out conflict, and working with other people in a group has led to double-digit increases on achievement test scores, improved classroom behavior and improved attitudes. Our work to improve safety, student engagement and the overall learning environment will have a lasting impact on the future. All public schools in Iowa will use the statewide online Survey to assess Conditions for Learning with all 5th - 12th graders in the Spring of 2018. We will ask your child to simply fill out a confidential [private] Survey. The Survey will focus on issues ranging from student safety, to positive student relationships, to school rules and how they are enforced. Andrew Community School will receive timely data annually at the building level in the fall to support alignment of professional development with identified needs of students. A high rate of participation by students in completing the Conditions for Learning Survey is important for obtaining the most complete school climate data for our school. Support from you in communicating to your students that this is their chance to be heard and to be part of the effort to improve conditions for learning at their school is critical. Thank you for partnering with Andrew Community School to improve conditions for learning throughout the state. 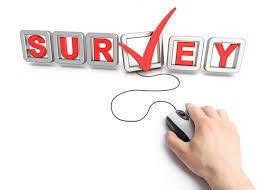 If you do not want your child/children to participate in completing the Survey please communicate this with the school.